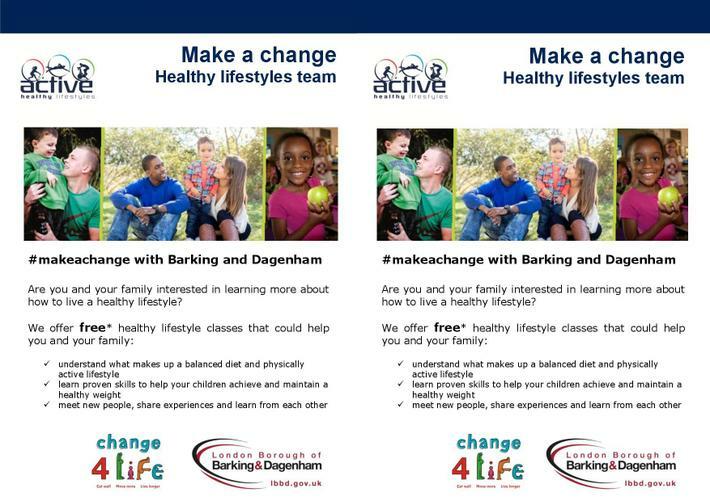 As part of the Change for Life programme, the Healthy Lifestyles Team are offering free healthy lifestyle classes and free physical activity sessions to children and young people aged 5+. 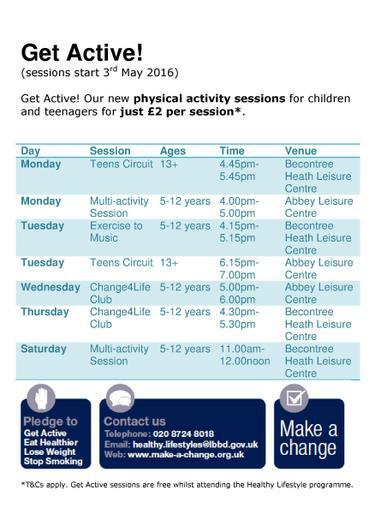 The following leaflets contain all the information you need to book a place on the course. 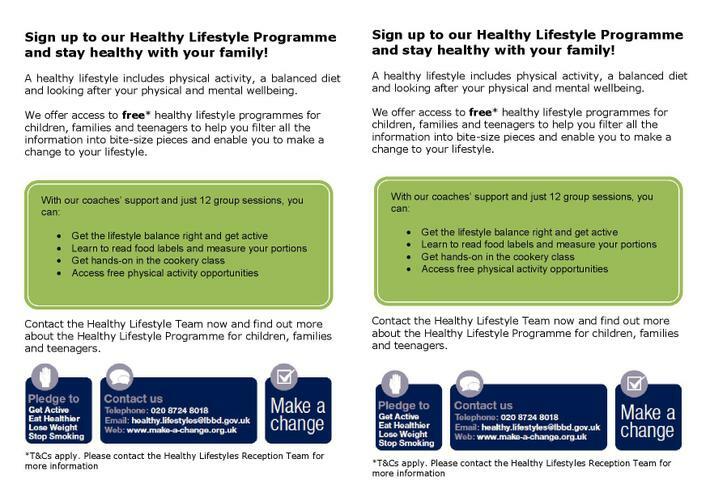 The Lifestyle classes leaflet is doubled up (2 of each page on 1 page), can you please cut it down so that there is only 1 of each page. 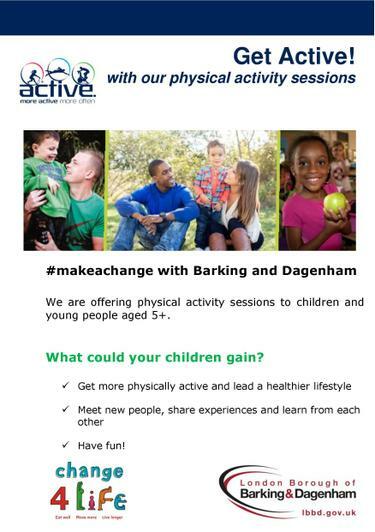 This is will it bigger & easier to read for the parents.